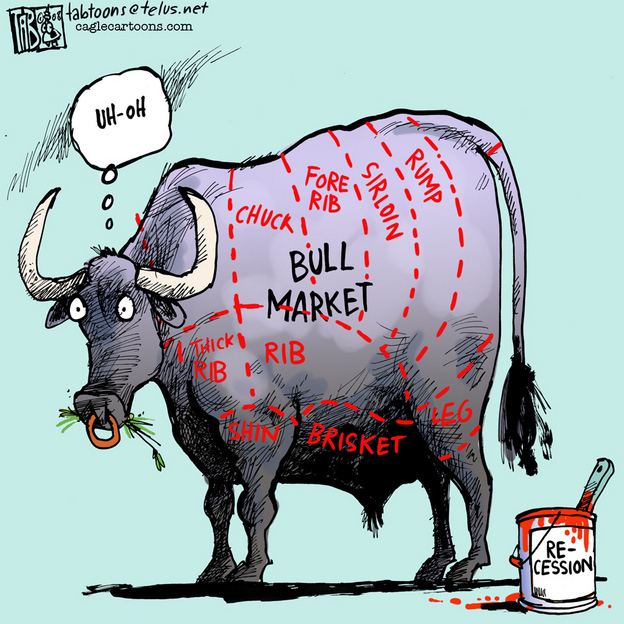 Today’s cow, or should I say bull, expands on my idea of the other day that some people are trying to make us believe we’re experiencing a bull market. I found a few cows in my Facebook newsfeed this morning in an NPR post called No Bulls! Every few days the NPR (National Public Radio) website features some cartoons representing the political or economical mood of this country (USA). 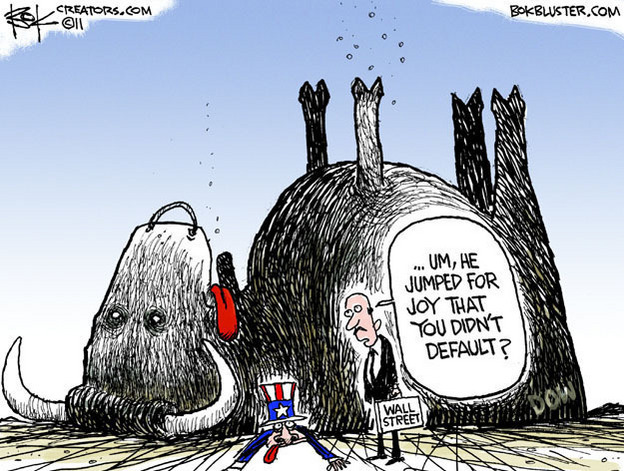 These two cartoons say it all about the current state of the stock market. I love the nose ring addition – that makes for a very surprised bull!